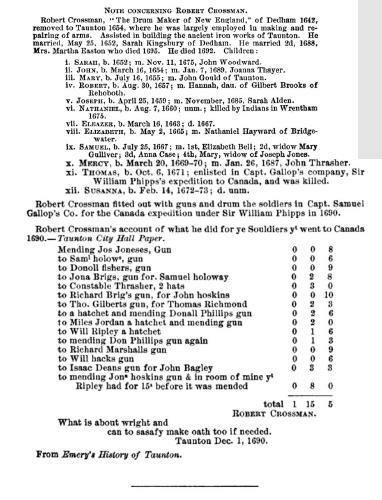 Vital Records of Andover Massachusetts to the end of the year 1849, Topsfield, Mass. : Topsfield Historical Society, (1912) , p. 240. 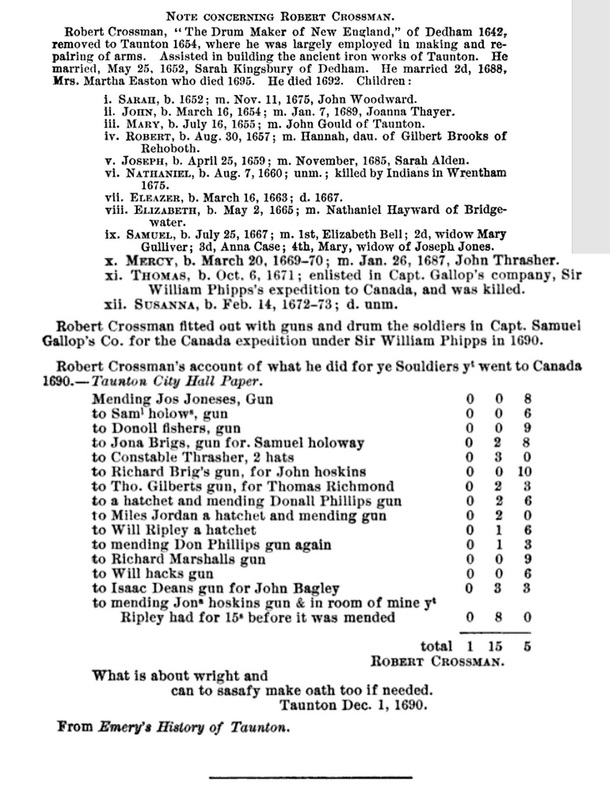 "United States Census, 1870," database with images, FamilySearch (https://familysearch.org/ark:/61903/1:1:MH5X-WH5 : 17 October 2014), Charles S King, New Hampshire, United States; citing p. 18, family 152, NARA microfilm publication M593 (Washington D.C.: National Archives and Records Administration, n.d.); FHL microfilm 552,340. "Vermont Vital Records, 1760-1954," database with images, FamilySearch (https://familysearch.org/ark:/61903/1:1:XFV4-1PT : 6 December 2014), Charles L King and Martha S Grey, 12 Nov 1861, Marriage; State Capitol Building, Montpelier; FHL microfilm 27,566. 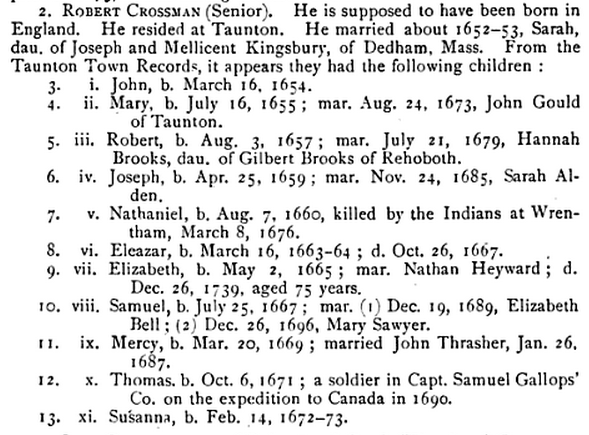 "New Hampshire Marriages, 1720-1920," database, FamilySearch (https://familysearch.org/ark:/61903/1:1:FDGC-LW6 : 31 December 2014), Frank Smart and Effie E. King, 04 Nov 1888; citing reference 2:409LLK5; FHL microfilm 1,001,301. 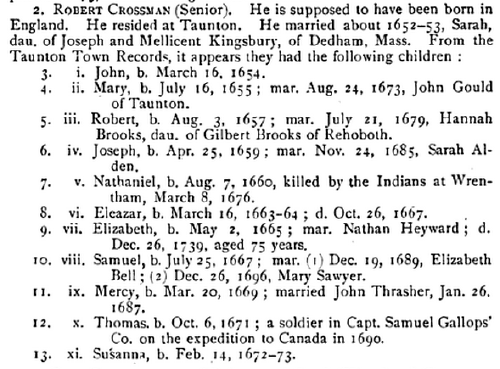 Frederick John Kingsbury, The Genealogy of the Descendants of Henry Kingsbury of Ipswich and Haverhill, Hartford Press, (1905) , p. 227. Rev. Addison Kingsbury, A pendulous edition of Kingsbury genealogy, , at https://archive.org/stream/pendulousedition00king . Pittsburgh: Murdoch-Kerr Press, (1901) , p. 13. Amanda Betsey Kinne was born perhaps about 1803.
living at Highland Avenue, Milford, Hillsborough County, New Hampshire. living at 2102 Polk Street, Houston, Harris County, Texas. George A. Ramsdell, The History of Milford, Concord, N. H.: The Rumford Press, (1901) , Vol. 1, p. 951. She was the daughter of Dr. Thomas Kittridge and Olive Daby. Dr. Thomas Kittridge was a member of at First Congregational Church, Harvard, Massachusetts. Dr. Thomas Kittridge died on September 4, 1809 in Harvard, Massachusetts, at age 25 of "md. fever." He was buried in Old Cemetery, Harvard, Massachusetts. Addie Irene Knapp was born on October 28, 1900 in Leavenworth, Leavenworth County, Kansas. Ryan, Jos W (Addie J) warehouseman J C Lysle. house Wilson & Santa Fe. Ryan, Jos W (Addie I) factory worker American Packaging Co. house 104 E Limit. Ryan, Jos W (Addie) kitchen helper St Mary's College. house 709 N 9th apt 2.